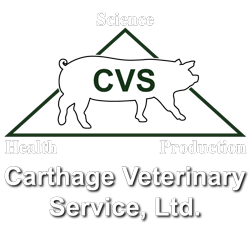 Dr. Aaron Lower is a partner and veterinarian in Carthage Veterinary Service, LTD. He joined the practice in 2009. He completed his bachelor’s degree in animal sciences from the University of Illinois and D.V.M. from the University of Illinois – College of Veterinary Medicine and completed the Executive Veterinary Program at the University of Illinois in 2016. He was awarded the Young Swine Veterinarian of the Year award from the American Association of Swine Veterinarians (AASV) for 2014. 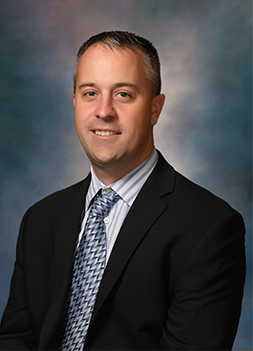 He has given scientific presentations at the AASV Annual meeting, Leman Conference, and ISU Swine Disease Conferences. Internationally, Aaron has given presentations and visited pig production sites in Canada, Denmark, and China. Dr. Lower is based in Champaign, Illinois, to service breed-to-wean and wean-to-market swine clients in Indiana, Illinois, and Missouri. He also provides health services to sow farms and finishers within the Carthage System. His focus has been in disease management and elimination programs, as well as farm construction, air filtration, and biosecurity protocols for disease control.